As the 2018-19 NBA trade deadline nears, the Los Angeles Lakers are attempting to acquire Anthony Davis from the New Orleans Pelicans following his request to be dealt this season. Unlike the Paul George and Kawhi Leonard situations, Lakers president of basketball operations Magic Johnson and general manager Rob Pelinka reportedly offered the Pelicans five different trade scenarios. 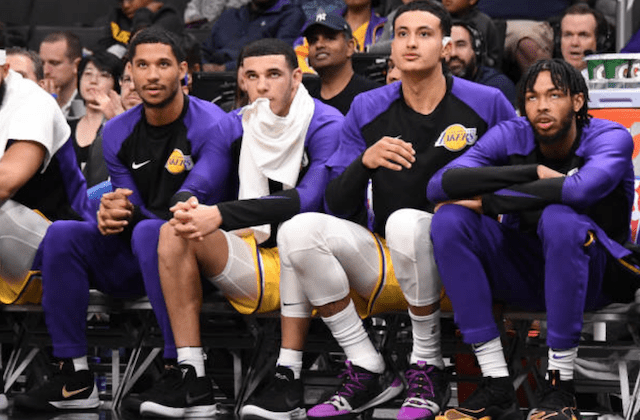 As one of the scenarios initially involved just two players from the young core, L.A. eventually met the Pelicans’ demand of an additional first-round draft pick and salary cap relief. That grew to New Orleans seeking six to eight draft picks in a trade for the 25-year-old, which appeared to put a damper on the possibility of a deal being completed. Sure enough, as of Tuesday afternoon, the Lakers had withdrawn from trade talks. The Lakers were also willing to also send the Pelicans two first-round draft picks. Through all of the trade discussions, Hart and Kentavious Caldwell-Pope were two players not mentioned in any known scenarios. As the Lakers made their godfather offer, it appears the Pelicans were never serious about trading Davis to his preferred destination. While the situation can change from now to Thursday, the Lakers should shift their attention to getting more three-point shooters. 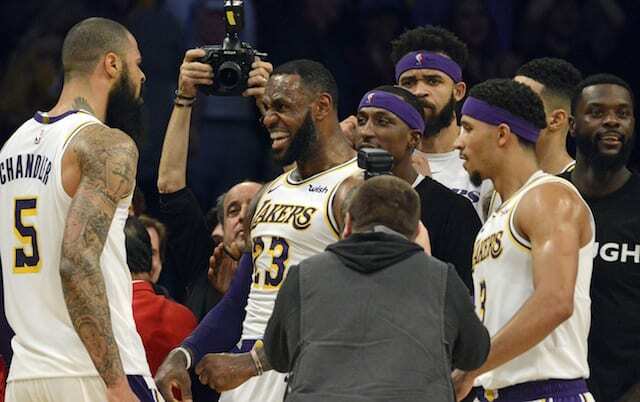 With a healthy James and young core, the Lakers have shown they can compete with most teams and focus on ending their five-year playoff drought.